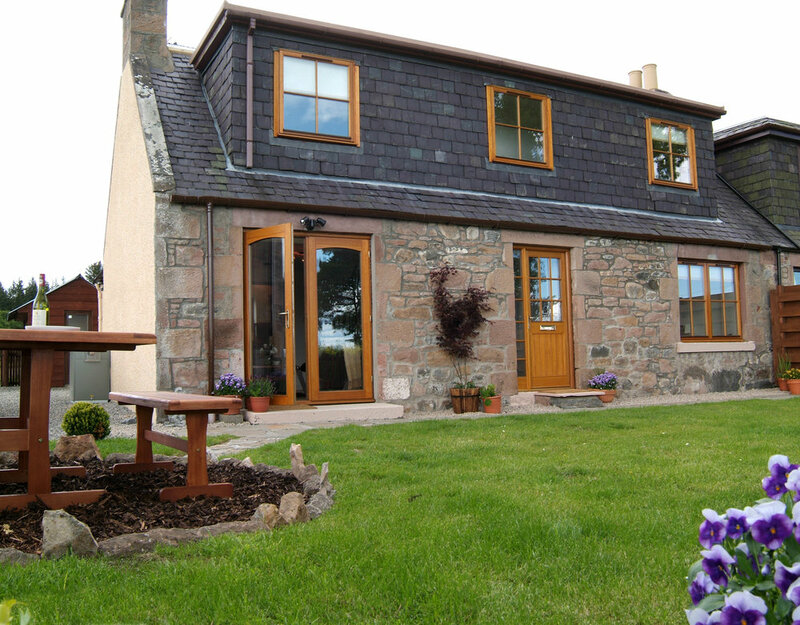 Country cottage epitomises the very best of cottage living. The delightful lounge has a welcoming wood-burning stove leather sofas. An exposed stone wall leads through to the bright , modern kitchen room. 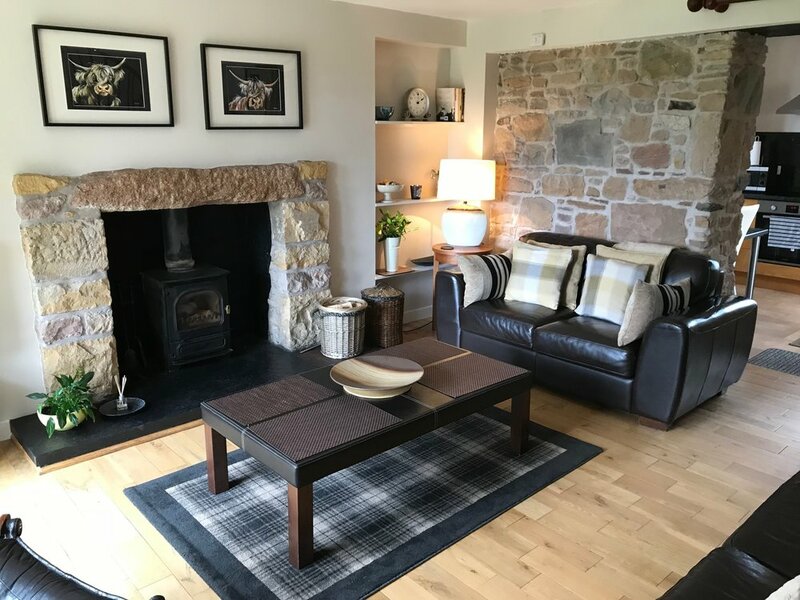 All bedrooms are beautifully presented with colour coordinated soft furnishings and with two bathrooms it is ideal for two couples or a family holiday. French doors lead out from the lounge cottage garden,which picnic table and chairs. 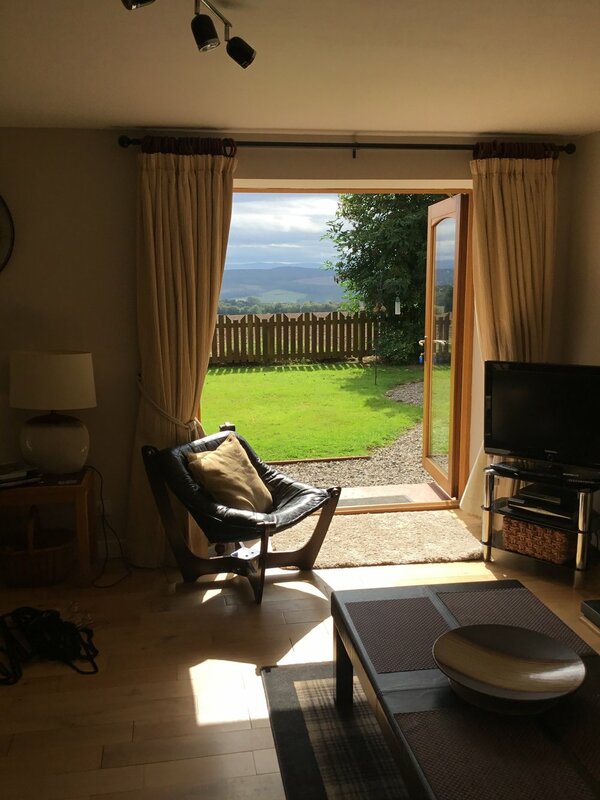 An ideal spot to sit and admire the view across open countryside to the hills and distant sea views beyond. 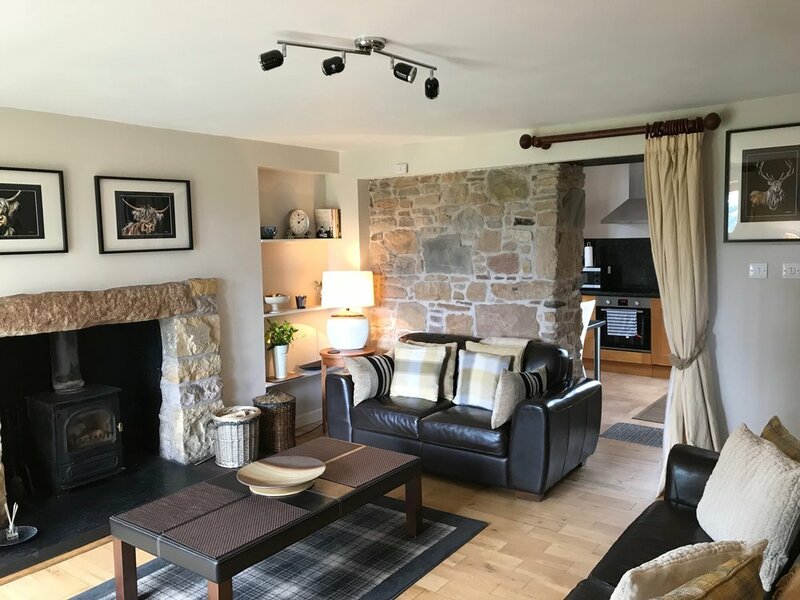 Originally a 19th century farm cottage, it is situated in a quiet country lane adjoining open farmland, less than 2 miles from the village of Munlochy on the black isle. 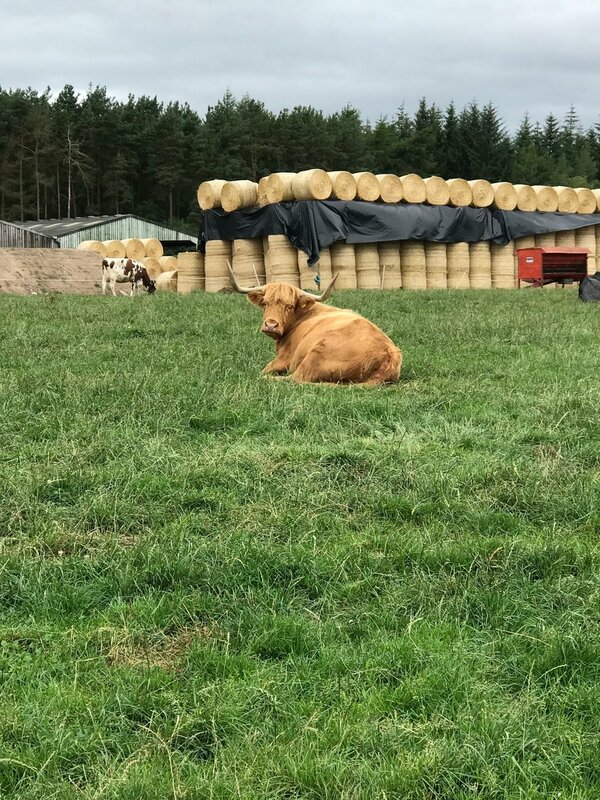 Munlochy Bay is also noted for its bird-watching ; it is a haven for a wide and diverse range of migratory and wading birds and identified as a site of special scientific interest. Escape from it all five star Cottage. Hazel was excellent went out of her way to help us!